The construction was carried out with participation of Giovani Pieroni, Andrea Spezza and Nicolo Sebregondi. Sala terrena adjoining the Valdštejn Palace was completed in 1629. Its walls are decorated with frescoes and stuccoes by Baccio Bianco with themes from the Trojan War. The frescoes were damaged by the later re-painting in 1853 (painter named Friebel). Sala terrena was reconstructed in the years 1911 - 1912 and again in 1965. 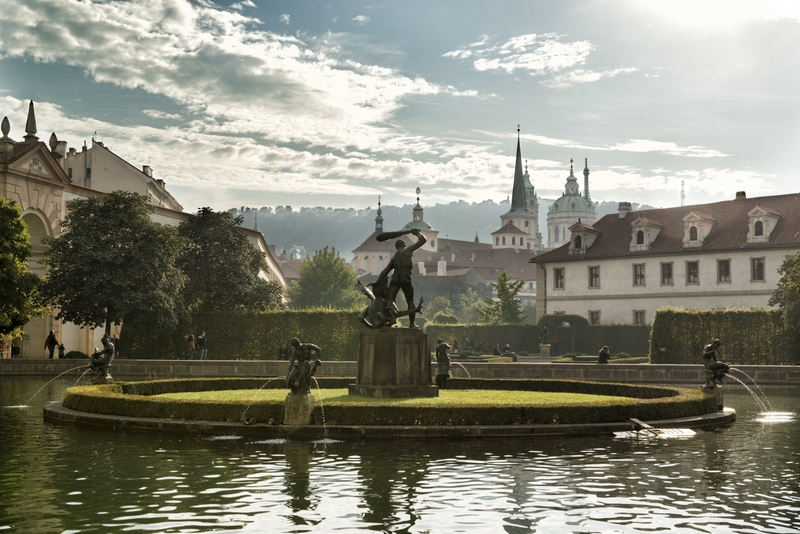 In 1859, Shiller’s drama Valdštejn was staged here; in 1938 an exhibition named Prague Baroque was held in the palace and the adjoining premises, and since then, it has been used as a place for theatre plays and concerts. Next to sala terrena, there is an artificial stalactite cave (grotta), made of lime stucco stalactites - roof ridge-tiles were used as the cores of the stalactites. There is a small lounge on the opposite side, with a fresco depicting the myth about the Argonauts and the golden fleece. To the right from the cave, there is a wired aviary designed for keeping exotic birds. 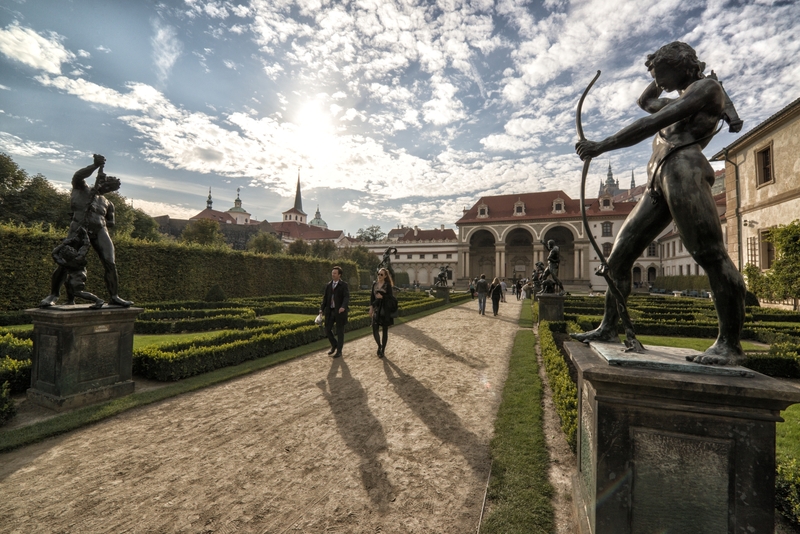 In front of sala terrena, there is a flower parterre, in the centre of which there is a bronze fountain with a copy of the statue of Venus with Cupid and dolphin by Benedikt Wurzelbauer from 1599. In 1648, the statue was seized as a war booty to Sweden together with other statues, and it was returned to Bohemia in 1890. 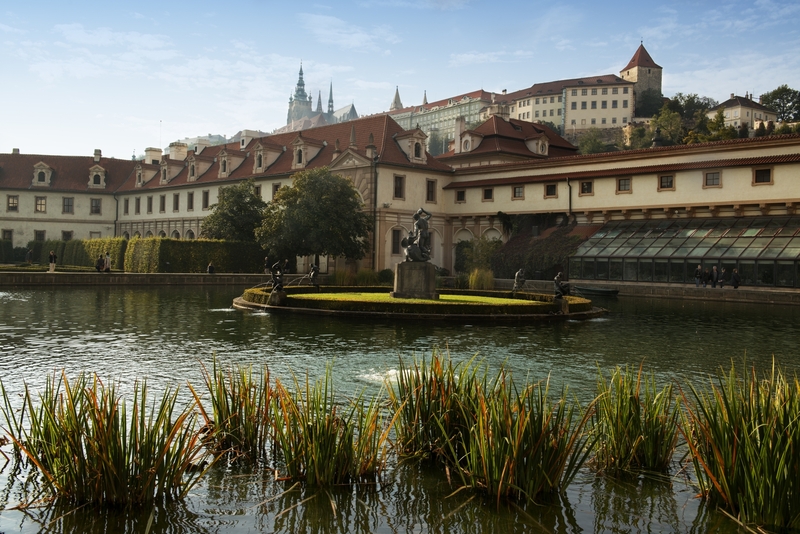 The original is deposited with the owner, the Prague Castle Picture Gallery. A part of the garden is reserved for an artificial pond with an islet, which was used for boat rides. On the islet, there is a copy of a marble fountain with statues of Hercules and the Nayades by Adriaen de Vries. The pond was used for experiments with a steamship by the inventor Josef Božek in 1816. During the years 1625 - 1626, Dutch sculptor Adriaen de Vries created a set of statues depicting Greek mythology figures for the garden. These statues too were taken to Sweden in 1648 as a war booty, and they still decorate the castle Drootningholm there. Copies for the Valdštejn Garden were made at the expense of Adolf Valdštejn in the years 1914 - 1915. 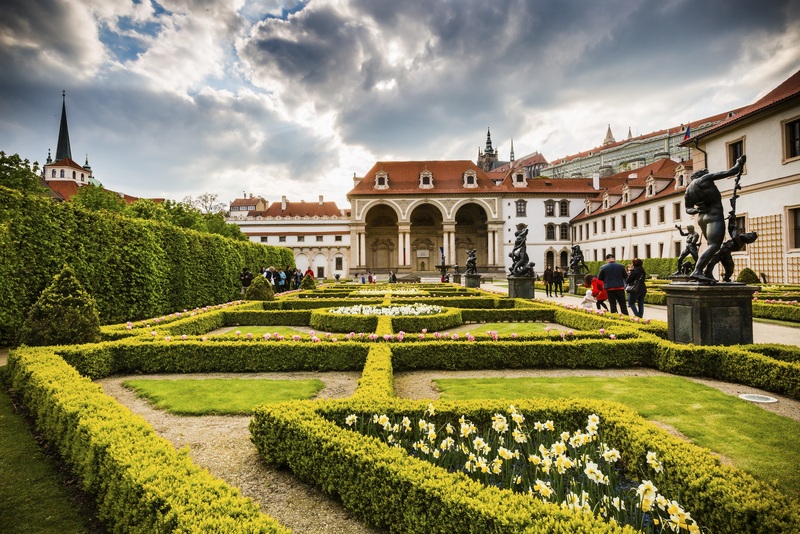 At the end of the 19th century, the garden was opened for the Prague public, always on Thursdays and Sundays. Jan Neruda wrote about this in his feuilleton. The garden was modified in the years 1954 - 1955 according to the project of ing. arch. Miloš Vincík and Julie Pecánková; from 1985 on, there was a partial renewal of the garden according to a project of arch. Jana Tupá. 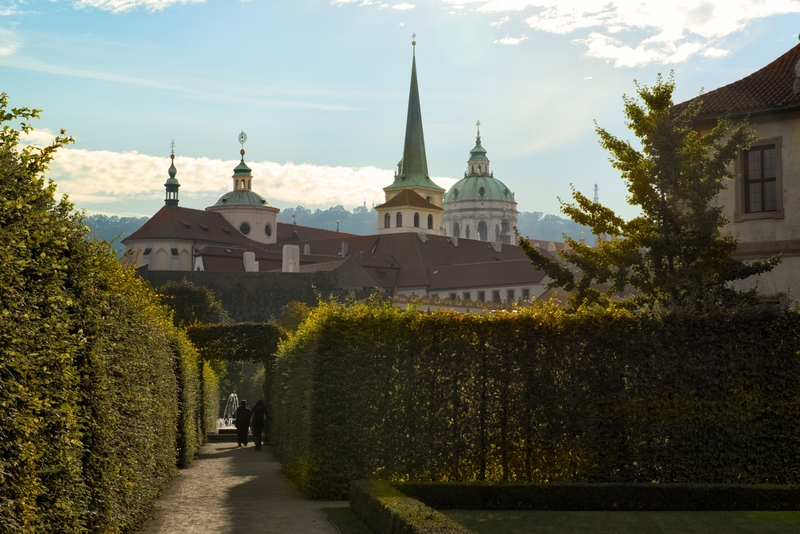 In 1997, the third entrance to the garden was festively opened via a new gate by the underground station Malostranská. 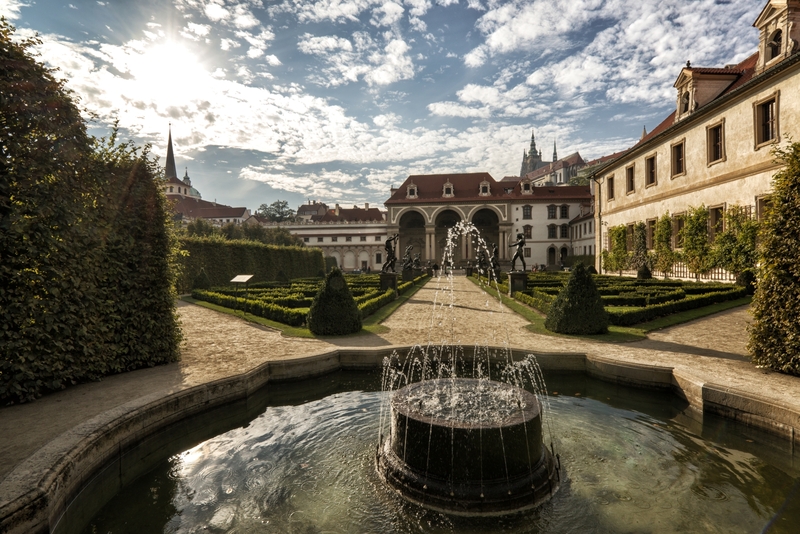 In the years 2000 and 2001, a complex rehabilitation of the garden took place, according to the project of architects Václav Dvořák and Zdeněk Sendler.